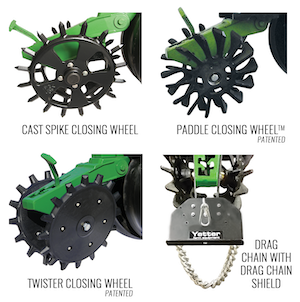 Yetter Farm Equipment’s Cast Spike Closing Wheel, Paddle Closing Wheel™, and Twister Closing Wheel ensure seed-to-soil contact by fracturing sidewall compaction, promoting even emergence after planting. The twisted-link Drag Chain and Drag Chain Shield are options that work with closing wheels, enhancing performance. For more information, contact Yetter Manufacturing at 800-447-5777 or www.yetterco.com. 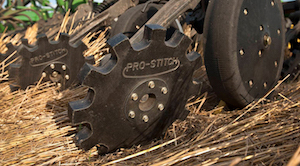 Pro-Stitch closing wheels were designed by no-tillers like yourself who needed to solve problems closing the slot and getting consistent seed-to-soil contact. Pro-Stitch closing wheels use a unique stitching effect to close the seed trench. They tuck soil firmly against the seed by stitching a seam and operate with minimum down pressure for any field condition to reduce sidewall compaction. Models are available for Deere, Case IH, Kinze and White planters; John Deere 50, 60 and 90 series drills; and Case IH PD500 and SDX series seeders. Find cost-effective solutions for precise, more profitable planting at Ag Express Electronics®. We offer rugged, reliable, maintenance-free flexible cable drive and clutch products from Elliott Manufacturing®. The systems fit a variety of planters and provide mechanical advantages without the need for additional power sources. Contact us for more information! 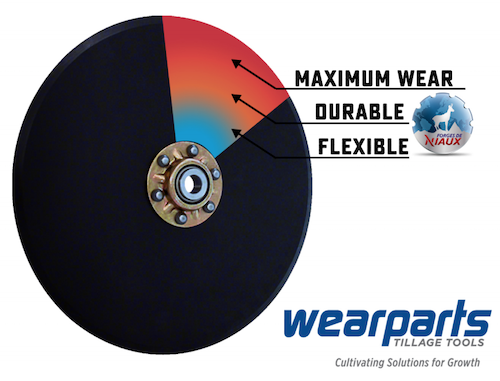 FlexSeeder™ is an easy replacement for Kinze® and John Deere® chain and sprocket drives. 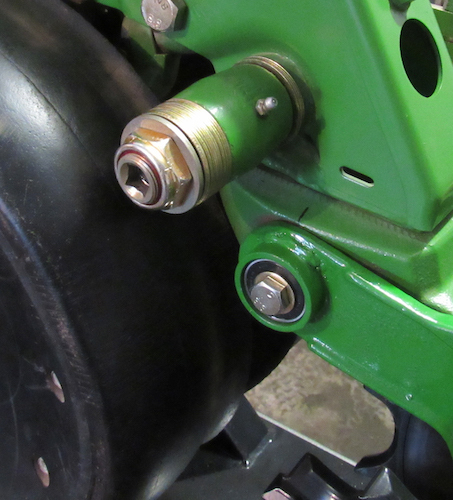 Row Control™ provides individual row shutoff for John Deere planters with Pro-Shaft™ drives. 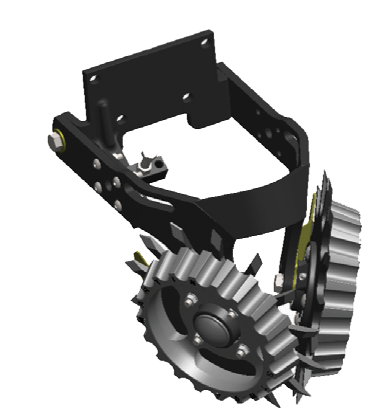 Surface Drive™ adds a mechanical drive system to Precision Planting vSet® seed meters. GroundControl™ is a simple and improved replacement for John Deere RowCommand™. Visit AgExpress.com for more information. The G2 applies larger quantities of nitrogen fertilizer behind the planter, 2-4 inches to the side of the row. The 9-inch smooth single disc opener adds only 11 pounds per row, and can be replaced with the NEW fine-tooth notched disc to cut through heavy cover crop residue better. The G2’s patented walking-beam design places balanced pressure on both press wheels, and even depth of fertilizer in uneven terrains. The low/high pressure fertilizer bracket and boot pivots so you can control where the fertilizer is injected and help eliminate fertilizer on the row unit. The G2 fits most planters. 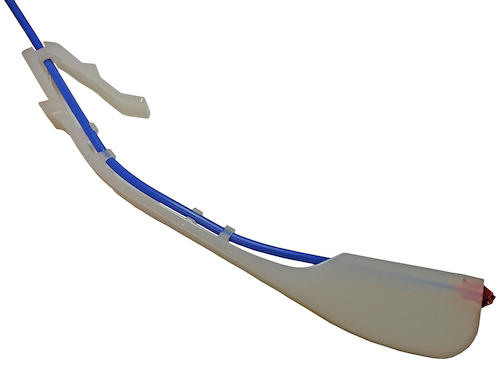 Standard swing arm tail sections allow only 4 inches of travel up and down. 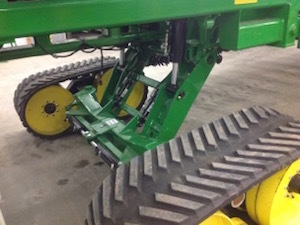 Schaffert’s 4 Link Closer offers up to 9 inches of travel, keeps the closing wheels parallel to the seed trench at all times, eliminates planter bounce in the field, lets you run less down pressure, enables faster planting speeds, gives more even depth control and better seed-to-soil contact for even emergence. 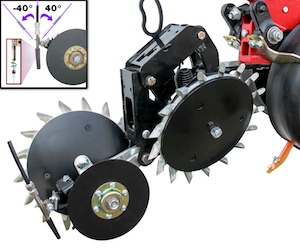 The 4LC fits most double disc opener planters and comes with ground attachments for V closing wheels, the G2™ fertilizer disc and the NEW G3™ walking beam arm. The walking action of the G2/G3 arms closes the seed furrow better and helps eliminate air pockets. The Gemini dual pump kit allows a user to operate two Ace Pumps independently from a single hydraulic supply and control them manually or with a PWM (pulse width modulated) control signal. The Gemini kit is designed to control any combination of Ace’s popular FMC-HYD Series pumps powered by our 204 and 206 motors. Once installed on a planter or sprayer, it allows operators to quickly and easily dial-in separate application rates for liquid fertilizers, herbicides, pesticides and other crop inputs. 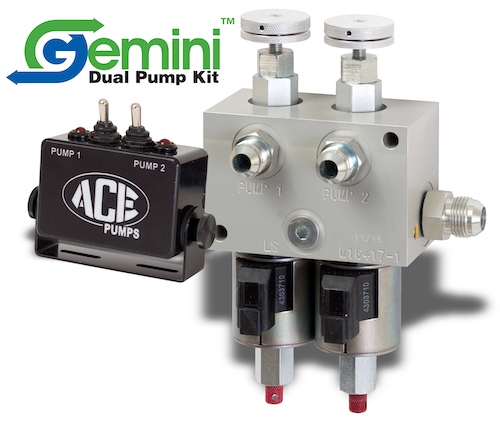 The Gemini dual pump kit is designed for use on tractors with either load-sensing, closed-center (LS closed) or pressure-compensated, closed-center (PC closed) hydraulic systems. Oil may be supplied from one selective control valve (SCV) or the power beyond hydraulic supply. The kit includes everything needed for manual operation including a switch box, wiring harness, hydraulic valve manifold and fittings. The system may also be controlled automatically using PWM control signals from the customer’s controller to the included proportional valves. 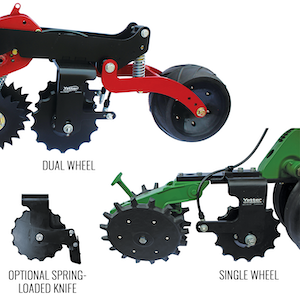 The Furrow Cruiser and Cruiser Xtreme closing wheels from Copperhead Ag products offer farmers an option for absolutely every planting condition. 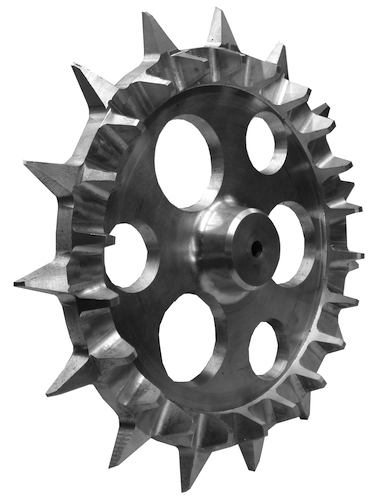 The wheels have angular teeth that will break up sidewall compaction and close the furrow. The width of the wheel will help with firming of the soil around the seed and will prohibit the wheel from flipping out any seed, even with shallower planting depths. 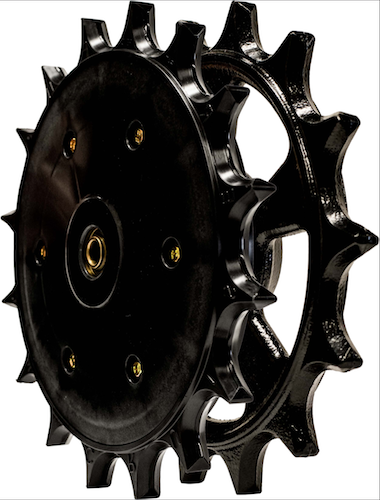 This combination of aggressiveness and control, combined with a unique ability among closing wheels to resist mud and plugging, make these tools the go-to option for all corn and bean growers. Visit www.CopperheadAg.com today to learn more. The proven RK Products line of planter repair parts is now backed by the full sales and manufacturing team of Copperhead Ag Products! The gauge wheel arm and closing wheel arm repair kits not only fix any amount of wear on a row unit, but they stop the wear in its tracks, allowing for years of dependable service from your RKP Kits. If you are tired of wear parts that need constant replacing, fix your row units for good by visiting www.CopperheadAg.com today! Planter Upgrades from Moeller Ag Service, Inc.
David Moeller enters his 30th year as the No. 1 planter setup and maintenance supplier, having helped thousands of farmers with no-till planter and attachment repairs and upgrades through quality Martin-Till products. We can custom-build, maintain and repair your no-till planter based on your operational needs with Martin-Till row cleaners, liquid fertilizer knives, reduced-inner-diameter gauge wheels, closing wheels and drag chains. We also offer the Precision Planting 20/20 touchscreen display and data management system. 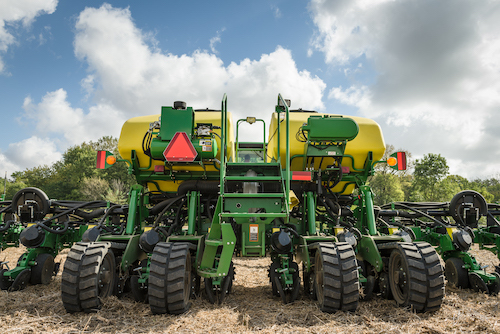 Call us at (319) 698-4005 to discuss upgrades to your no-till planter before the 2019 production season. Longer Wear, Leading Performance. Having undergone a patented heat-treating process to harden steel, Wearparts’ Seed Opener achieves 30-40% longer wear than competing openers. Its high-hardness along the blade allows this opener to retain a sharp cutting edge and maintain accurate seed placement. Its high-performance and ability to outlast leading competitor products, lowers user’s cost-per-acre. Wearparts’ Seed Openers are assembled with a Forges de Niaux 200 Blade. Created with high-grade, quality steel, this opener fits nearly all brands of planter and drill applications and is protected with a lifetime warranty on breakage. 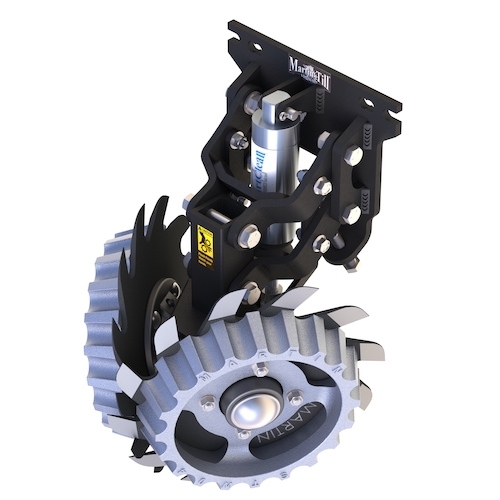 The PTT Sabre Tooth Planter Disc Opener is designed to cut, rotate and flow moist, granulated soil on top of seed placement for maximizing seed-to-soil contact, regardless of soil type or weather conditions. This can speed up early even-emergence, root development and enhanced soil-to-seed contact while lessening sidewall and sub-furrow compaction. 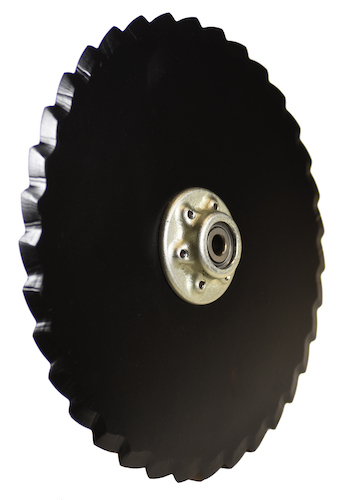 The design of this planter disc opener creates a leading blade effect for better penetration and residue-cutting. The Sabre Tooth disc opener lifts and fractures sidewalls, aiding easier closing of the seed furrow with standard OEM equipment. 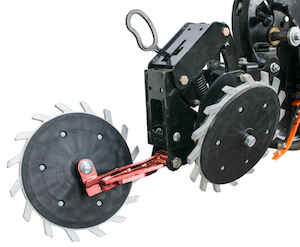 The Sabre Tooth eliminates the need for a leading no-till coulter assembly. Call S.I. Distributing at 800-368-7773 or click here for more information. Closing wheels are important in establishing a seedbed as they crumble sidewalls and close the furrow for optimum seed-to-soil contact. Regarding corn, the Finger-Till Closing Wheels ranked #1, with a +4.8 bushels per acre difference, in the closing wheel study at the Iowa, Indiana and Central Illinois PFRs. Regarding soybeans, the Finger-Till ranked #1, with a +2.2 bushels per acre difference, in the closing wheel study at the Kentucky and South Illinois PFRs. 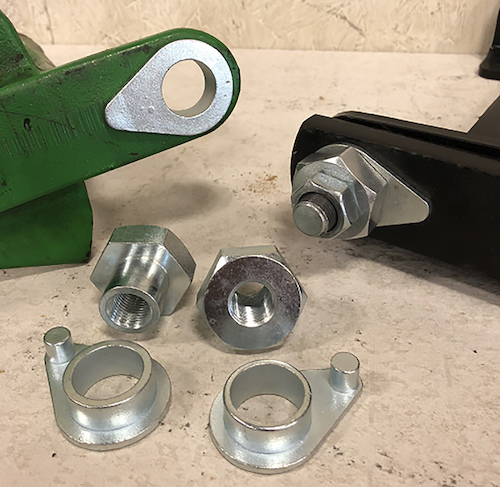 Precision Planter Solutions offers a solution that will make old and worn parallel linkage arms and bushings better than new. With these new flange bushings, there is no longer any wear on parallel linkage arms. This is accomplished by installing a hardened flange bushing in the arm that can be replaced. A threaded hex bushing and a special shoulder bolt fixes the flaws of the OEM design by eliminating any wear on the parallel linkage arms. Everything is replaceable, and your row unit will be better than it was when new. It keeps the bushings and parallel linkage arms tight. Uneven seed germination and uneven plant emergence sap yields. Plants coming up even a little late can’t compete with their neighbors for resources and they’re vulnerable to heat stress and insects. Keeton Seed Firmers set the seed at the right depth and create consistent seed-to-soil contact. That leads to uniform germination and uniform emergence. Studies have shown that leads to an average increase of 1,000 more ears of corn or six bushels per acre in corn yield. Keeton Seed Firmers offers money-making advantages for your drill too. Field trials show that Firmers make you money with reduced seed costs. The Hawkins Planter ‘NForcer allows for accurate position and precise placement of key starter and pop-up fertilizer. Pneumatic down pressure and a 14 inch beveled blade allow operation in all field conditions including no-till and the position adjustments to fit strip-till needs. Horizontal adjustments of up to 8 inches allow a setting to fit various field terrains and farming practices. Left and right row unit mounting options compensate for multiple planter configurations in all primary models. Rearward mounting of the fertilizer disc allows proper planter operation and residue flow, resulting in precise fertilizer placement out of the residue path and “In the Clear.” Accuracy is key for fertilizer placement and the Hawkins ‘NForcer™ hits the mark.